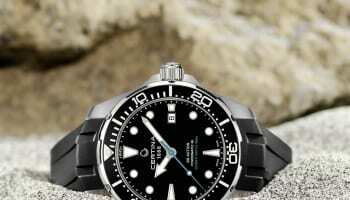 Certina’s DS Action Diver is a 43mm steel timepiece with a black aluminium unidirectional bezel. The piece sports a screw-down case back, which is engraved the brand’s turtle emblem, and a screw-in crown. 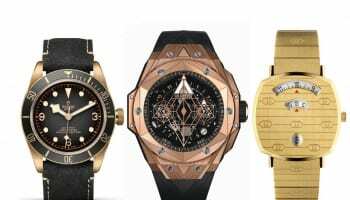 The watch uses a Swiss made ETA Powermatic 80 automatic movement with an 80 hour power reserve pushing central hours, minutes, seconds and a date window at 6 o’clock. The timepiece received the ISO-6425 certification, acknowledgment of its capabilities as a diving watch with water resistance up to 300m. 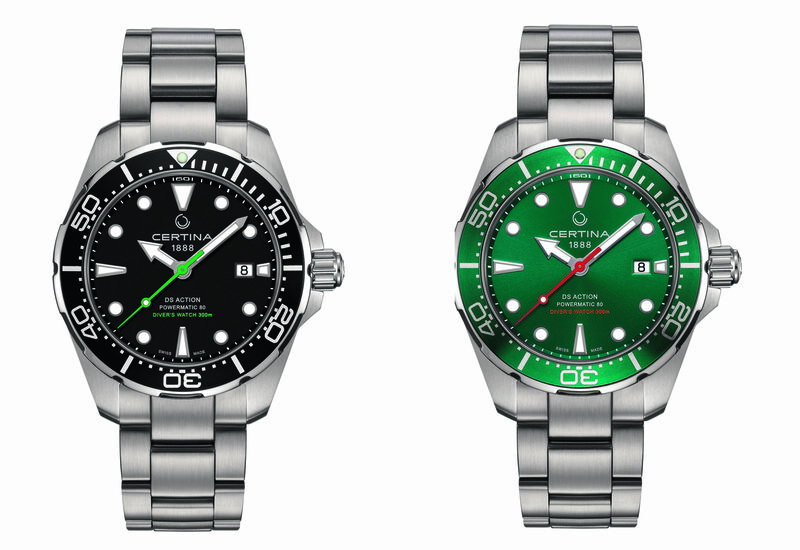 The Certina comes with a black lacquered dial or a green dial and is worn on a steel bracelet. The retail price is set at £655.